Enjoy 5 amazing destinations on our VIP Speedboat tour. On your tour of Pattaya's archipelago you will visit Koh Rin, the deserted Koh Khram, Koh Khram Noi, Sai Kaew Beach and Monkey Island. Our super powerful speedboats will get you to the islands not only in the fastest time but In total comfort too, which means you get to spend more time on each magical tropical island. Our speed boats truly cater for all eventualities. A join in tour caters for those who enjoy meeting new people, and it's a cost effective way to see the splendor of Pattaya's Islands. Whether you are on your own, in a group or with your family this could be just the ticket. Booking is easy, simply call us direct, email us or pop in to our Ocean Marina office. Only 3,600 THB / Adult. 2,400 THB / Child under 12 years old. PRINCESS BENEDICTE is a one of a kind magnificent 29 foot speedboat capable of carrying twelve passengers and two crew however again, we limit this amount to just eight passengers for your greater comfort. Princess Benedecte is without doubt the most elegant speedboat in Pattaya and she is also the most versatile. She is also fully equipped with toilet, fresh water showers, elevated seating, huge front sun deck, a comfortable cuddy cabin, swim platform, GPS, Sonar, Fishfinder, Electric Windlasss Anchor, Trim tabs and a great sound system. She is propelled by a super quiet 250 HP Suzuki four stroke engine which guarantees a smooth, safe and pleasant trip. GREAT WHITE is also an impressive speedboat, this amazingly and comfortable fast 38 foot speedboat has twin 250 HP engines which allow a top speed of 36 knots and a cruising speed of 28 knots . She is licenced for twenty passengers and two crew however again we limit that to just 16 passengers for your greater comfort and with an expert captain, you're in safe hands. Try your hand at a bit of fun fishing, you never know, you might catch the fish of the day and take home a tasty treat. 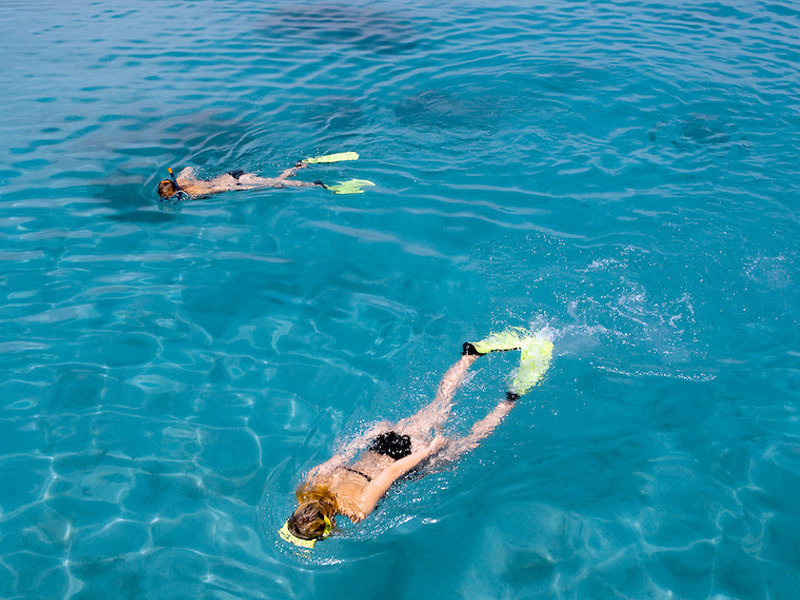 Snorkeling is everyone's favorite, and with so many fabulous destinations to choose from you won't be disappointed. On offer on all of our join in VIP Speedboat tours you can also enjoy an exciting doughnut ride on our inflatable sofa. Monkey feeding at the incredible monkey Island is also a popular activity. If simply relaxing is your thing then just enjoy a swim in the crystal clear, warm, tropical waters that we will take you too on our carefully selected tranquil islands. 9.30 am - Hotel Pick up in our VIP minibus. Alternatively simply come to our office at Ocean Marina Yacht Club at 10:00 am for departure. 10:00 am - Welcome briefing at Ocean Marina Yacht Club before boarding. - Snorkeling and swimming in the clear waters and stunning coral reefs. - Explore the beautiful white sand bay and simply relax on the beach. - Fun fishing at nearby hotspots. 12pm-1.30 pm - Head to Koh Khram and Koh Khram Noi. Enjoy all of our activities on this stunning island paradise. 1.30pm – 3.30pm - Head to Sai Kaew Navy Beach This prestine Navy Beach is preserved by the Thai Royal Navy, you can expect very safe, clean water and a superb large sandy beach. Lunch is served buffet style with plenty of tasty thai traditional fair. Kayaking is also available and this would be a good time to take that exciting donut ride. Or simply relax and maybe order yourself a nice cold beer. For some the highlight of the day, here you will encounter the monkeys of koh Ling, don't be surprised if these inquisitive little primates get very intimate with you, the last time I was there one was sitting on my head. So don't forget your camara, give them a banana and you've made a friend for life!! Our air conditioned mini vans will be there to take you safely back to your hotel. FOOD: A variety of freshly cooked delicious Thai and Seafood dishes. Snacks – Fresh fruit platter. Crisps. DRINKS: Mineral Water, Coke, Fanta Orange, Sprite and Ice. ACTIVITIES: Fishing, Snorkeiling, Monkey feeding and Doughnut rides.